Dr. Gregory Richardson received his Bachelor of Science degree from Western Kentucky University. After graduating with honors at University of Louisville School of Dentistry, he continued to complete a residency in Oral and Maxillofacial Surgery at Vanderbilt University Medical Center. In 1994, he joined OMSNashville. Dr. Richardson is committed to achieving clinical excellence through continuous educational pursuits. He practices the full scope of Oral and Maxillofacial surgery including bone graft and implant reconstruction, orthognathic surgery, obstructive sleep apnea correction, as well as traditional oral surgical procedures. Dr. Richardson is very active in the local and state dental societies. 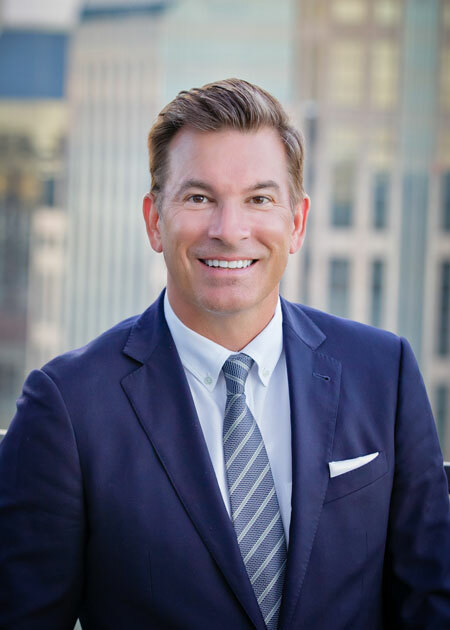 He is a delegate to the Tennessee Dental Association and is a board member for the Nashville Dental Society. He volunteers regularly with the Interfaith Dental Clinic as a clinical instructor for oral surgery residents. Additionally, he has continued to be involved in the Vanderbilt OMS residency training program as a clinical assistant professor for 15 years. On a personal level, Dr. Richardson pursues sports and staying physically fit. He is also an avid aviator and musician. He lives in Nashville and enjoys family time with his wife Virginia and daughter Lilah. Werther, J.R., Richardson, G.P., Mclwain, M.R. Werther, JR., Richardson, G.P., Mclwain, M.R.